This entry was posted on August 10, 2013 at 6:06 am and is filed under fit of clothes. You can subscribe via RSS 2.0 feed to this post's comments. Both comments and pings are currently closed. Thinking about front different from back, I had an astoundingly positive experience today. I love shirtdresses. On other people. I usually look dumpy or else like a straining parcel. I have a heavy cotton tent dress in my favorite color raspberry that I thrifted. I haven’t worn it yet because I disliked the sculptural golden buttons that went all the way down the front. I saved them for another garment and replaced with flat glossy black buttons – best of what I had. I wore it today and glimpsed a black, white and khaki grosgrain belt. It worked. I couldn’t believe it. I think it’s all owing to there not being a defined place for back and front waists plus the firmness of the fabric.I have a figure eight hip and then fairly flat down the sides. Plus also, when there’s a waist seam, often there’s too much or not enough blousiness either front or back or both. And somehow my bosom gets lost in all that and I just look like a blimp. It’s like a miracle none of that happened. 😀 I kept staring in the mirror wondering who is this person in a shirtdress. What a lovely experience Vildy ! 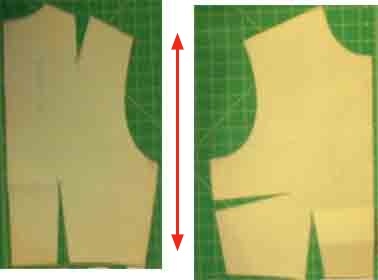 Yes I agree many of us have to be careful about waist seams/ blousing or we don’t look our best ! and also, counterintuitively, the dress having no shaping darts probably worked in its favor. Whenever I have tried to counter the bad blousing by controlling fullness with darts, it only works while standing still. As soon as you move, it takes on a life of its own and gives me an extra “shelf” of buckling blousiness above the fisheye darts.